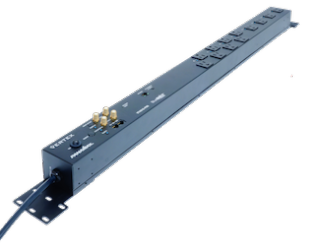 The What: Panamax will show the VT4315-PRO vertical rackmount power conditioner with IP control at its InfoComm booth C11322. The What Else: Leveraging the same BlueBOLT IP control technology as the Furman Contractor Series, the VT4315-PRO controls 12 outlets in eight banks (four individually controlled outlets and eight in paired duplex banks) for remote control and reboot in real-time or via scheduled commands. The unit features Panamax’s exclusive Protect-or-Disconnect surge protection and Automatic Voltage Monitoring (AVM) over/under voltage protection for complete peace of mind, plus Linear Filtering for best performance of protected equipment.